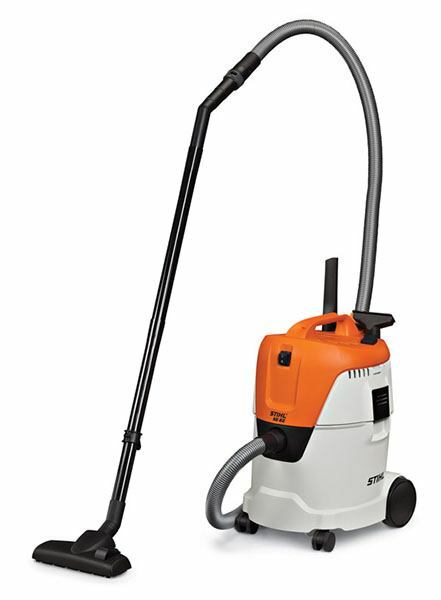 When you need professional cleaning power at home, plug in the STIHL SE 62 wet/dry vacuum. With 210 mbars of suction, it’s powerful enough for a construction site, but designed to fit neatly into your home or workshop. The SE 62 features a 6.6 gallon capacity canister and built-in filter cleaning system. Its pleated filter system is long lasting and traps dust, hair and other fine particles. The SE 62 is also versatile, featuring three cleanup tools – a universal tool, crevice tool and floor tool – each stored directly on the vac for quick access. The 16' electrical cord and 8' suction hose help you to cover more area freely, while its high-performance polymer tube provides greater durability over plastic tube alternatives. 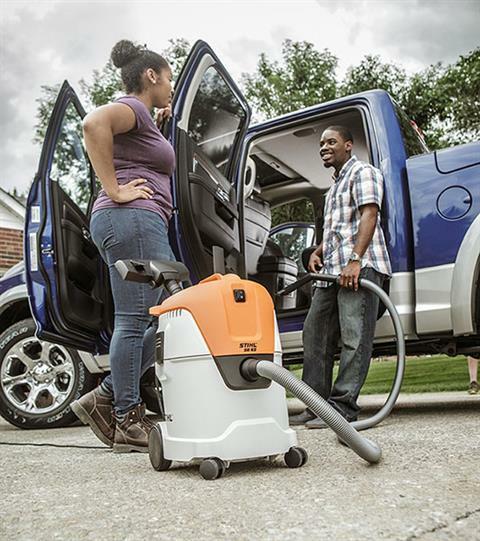 This is your vac for heavy-duty household cleanups. FLOOR/CREVICE NOZZLE: The floor/crevice nozzle attachment enables vacuuming in narrow spaces that are typically unreachable with regular nozzles. The attachment can be stored on the vacuum’s onboard attachment holder, making it easily available for use any time you need it. ONBOARD ATTACHMENT STORAGE: With the onboard attachment holder, all of your vacuum’s attachments are within easy reach during cleanup jobs. Plus, it keeps all of your accessories organized during storage.